Company | CENTRAL GLASS CO.,LTD. 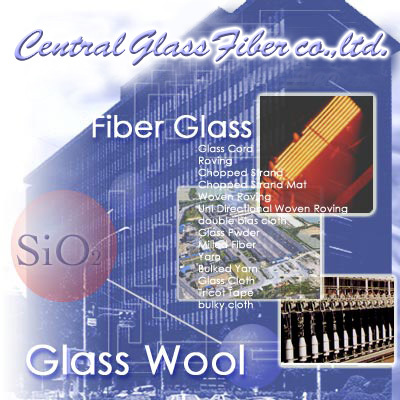 Central Glass, Co., Ltd. is a manufacturer of Plate Glass, Chemicals, Fertilizers and Fiber Glass, Glass Wool etc., with a consolidated sale is about 1.7 billion US dollars. We are developing business globally as a manufacturer to provide excellent quality for performance of high technology and energy saving in the automobile, information technology, building material and other industrial material markets. We are especially producing the high quality Fiber Glass Cords for the Synchronous Belts for more than a decade not only for the domestic demand but also for exporting.